Every year since 2007, bank and brokerage analysts have as a group predicted that gold would fall, sometimes dramatically, over the next four-year period. That’s not merely bad advice; that’s flawlessly bad advice. Bank and brokerage analysts certainly know their sectors. But when it comes to helping you make an informed decision about where the gold market is headed, they have “a record unblemished by success,” as resource stock expert, Rick Rule, is fond of saying. Every year, major banks and brokerage houses provide their four-year forecasts for the gold price. The following chart documents the average price projection of 25 top analysts over the past seven years, many of whom specialize in the resource industry. I might suggest pushing away from your desk so that when your jaw drops it doesn’t hit the keyboard. 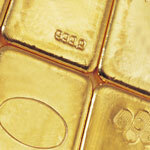 In 2007 the consensus of all estimates was that gold would decline from $656 to $523 by 2011. Instead, the price rose 140% to an average of $1,572 that year. The consensus has issued similarly errant forecasts every year since then. So far, they’ve been wrong every time. For the most part, these are analysts who do nothing but study the resource markets all day long. It’s their job. No one gets it right all the time, but this kind of track record is embarrassing. The obvious lesson for investors is to ignore price predictions from the major banks and brokerage houses — they just don’t get it. I’m sure most readers of this publication already know that. Why would I as a fund manager or institutional investor buy a gold stock if my analysts tell me the price of gold is going to fall? If the price of the product a company sells is expected to decline over the next few years, would you buy the company’s stock? Its earnings are almost certain to fall. As a manager of millions (or billions) of dollars, you wouldn’t buy any investment with this kind of outlook. Why would I as a fund manager or institutional investor buy a gold stock if my analysts tell me profit margins are expected to fall? It doesn’t matter that analysts have been consistently wrong. What matters is that if the institutional world believes the gold price is likely to decline and/or that margins are likely to fall, they’re not going to stick their necks out and buy gold stocks. They could lose their bonuses or even their jobs if their analyst’s predictions came true and they’d bet against them. This could be the explanation for why hedge funds, institutional investors, and other large investors haven’t entered this market en masse, and could also account for the disconnect between the price of gold and the trajectory of gold stocks. But once the facts sink in and the institutional world becomes convinced gold and silver prices will maintain a sustainable uptrend, they’ll be much more attracted to the equities — and just as stubborn about changing their minds once they’re on board. Now, it’s possible this group may have to be beat over the head by relentlessly rising precious-metals prices before they enter the sector. They’ll have to believe that, say, gold hitting $1,900 again isn’t a temporary fluke but a sustainable uptrend. I don’t know what price the metal would have to maintain or how long it would have to stay there before they’d jump on board. Given the above chart, I think it’s safe to say they won’t be the first to the party. But eventually, the stampede from institutional investors into this tiny industry will be sudden and dramatic, because they tend to have a herd mentality. No one wants to be left behind. Just like they don’t want to risk buying something all their colleagues are ignoring now, they’ll rush to own the popular and exciting investment when gold stocks have their day. The consequence of this group-think will result in dramatically higher stock prices. How high? Well, “fair value” for Newmont Mining (NEM), based on its reserves, would be about $200/share (it’s currently trading around $40). And that’s at $1,700 gold — as the spot price rises, the value of NEM will rise exponentially, since the gold price would be rising faster than costs. That is why I’m excited about the producers. It’s the first place the institutional world will turn when gold makes a sustained move higher. Come the day those investors believe gold is about to become part of the monetary system, that bonds are no longer a safe place for money, that inflation is about to get out of control, or whatever it might be that changes their paradigm, they’ll flood into our little market and push share prices higher by an order of magnitude. Maybe we should thank them now.